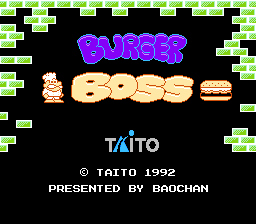 Changes the title screen to look like the legendary arcade game, BurgerBoss. 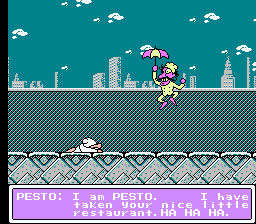 The villain’s name was changed to Pesto for good measure as well. 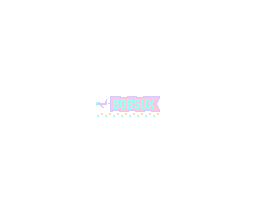 All gameplay, enemies, and items remain unchanged.